We're incredibly happy to announce that Airscape: The Fall of Gravity is OUT NOW! Watch the new launch trailer! 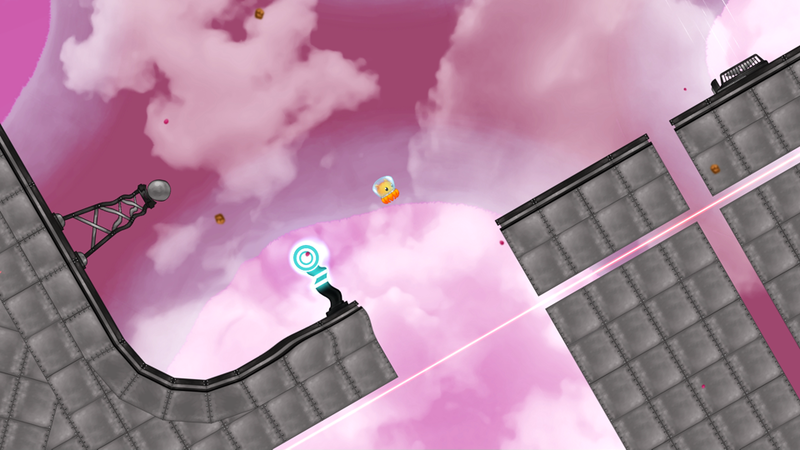 Get Airscape on the Humble Store! For a few seconds I didn't see your name as the poster and was like "WOW someone totally just ripped of his game!" Just saw this through Twitter. Looking amazing, thumsed up on Greenlight! Really nice feel over this! sosensible no, mobile devices aren't powerful enough for a game like this, and the control scheme isn't suitable. Nice work sqiddster, this looks absolutely fantastic! Looks awesome! I was wondering if you were going to make a full game of it. I quite liked the original vectory, flat look of the original, but it sees that you guys are going for more traditional and refined art direction with this version. Katala back, and with a vengeance! Have you tried iPad 3? Are you planning on adding gamepad support? The control scheme for the platforming mechanics look similar to Super Meat Boy so playing with a gamepad would be pretty rad.